Ducati commences its 2019 Ducati Dream Tour calendar with a ride to Rajasthan. The 5-day ride will see the group ride from Delhi to Mandawa, Bikaner, Khimsar, Samode and back to Delhi. Ducati MotoGP rider Karel Abraham will lead the group. 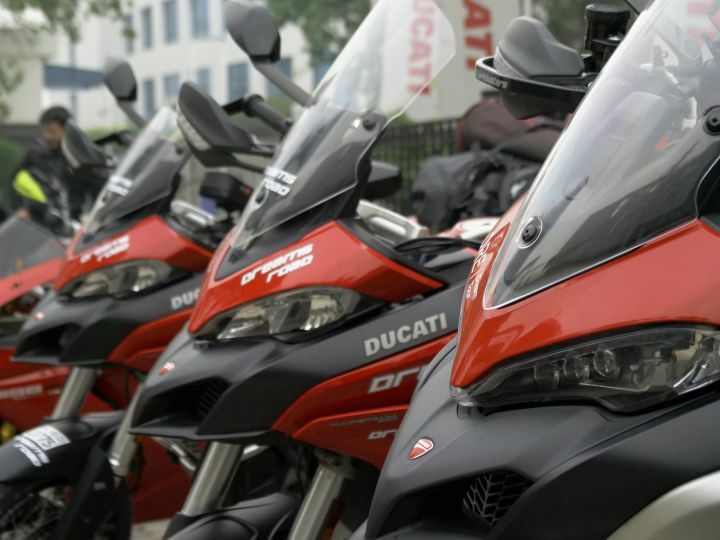 Ducati India has commenced the first ride of its 2019 Ducati Dream Tour calendar with a ride to Rajasthan. The 5-day ride will have participants embark on a 1360km ride that will take them from Delhi to Mandawa, Bikaner, Khimsar, Samode and back to Delhi. This year’s highlight is Ducati’s MotoGP rider Karel Abraham, who will be leading the group on a Ducati Scrambler 1100. Karel is the pilot rider for Reale Avantia Racing team which races Ducati bikes. 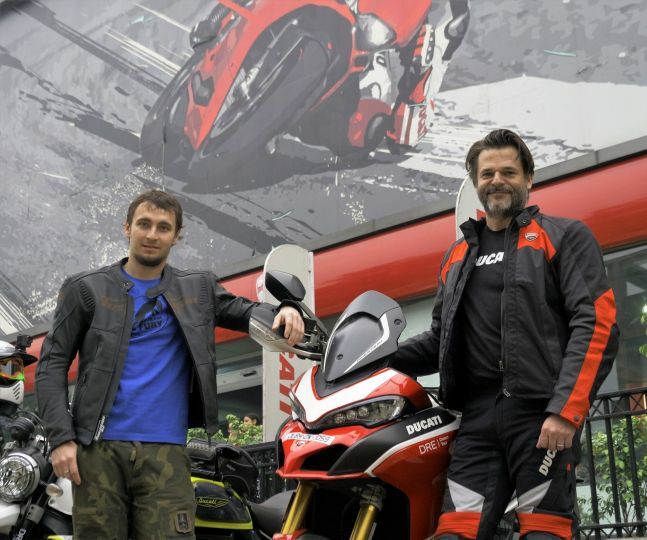 The group of 20 Ducati riders itself includes celebrities like Hollywood actor Casper Crump, who is known for his role as Vandal Savage in DC’s Legends of Tomorrow. He will be riding a Ducati Desert Sled. Ducati India’s MD Sergi Canovas himself will be riding with the group on a Ducati Multistrada 1260S. The 5-day excursion will have riders experience Rajasthani culture and folklore and will also give them the opportunity to ride in the sand dunes. New Delhi, 1st Feb 2019: Luxury motorcycle brand, Ducati India today flagged off its first Dream Tour of 2019 – The Royal Rajasthan Ride, powered by Eagle Rider India. The ride was led by Karel Abraham, Ducati MotoGP Pilot for Reale Avintia Racing and will continue till 5th February wherein Ducati riders will experience the ‘Land of Kings’ – Rajasthan, in the most unique way possible. The 5-day, one of a kind excursion will allow riders to immerse in the rich heritage and royal culture of Rajasthan with stays and experiences at premium properties while riding their Ducati motorcycles on some of the finest stretches of tarmac that exists in our country. The Dream Tour is an exclusive Ducati Riding Experience (DRE) where riders get to experience the capabilities of their Ducati in different conditions with various other entertainment activities that are specifically designed to create memories of a lifetime.